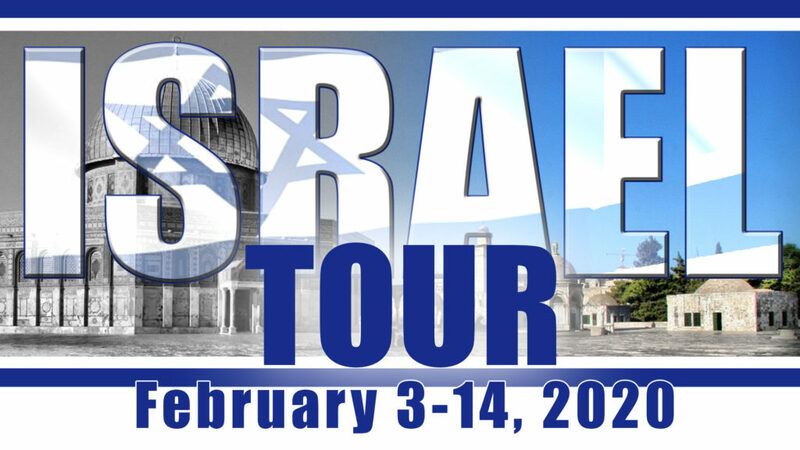 There are several pastors traveling on this tour to teach God’s Word at each of the sites including Pastor Jeremy Higgins of Calvary Community Church in Cedar Rapids, Iowa and Pastor John Higgins of Calvary Chapel Tri City in Tempe, Arizona and Pastor Doug Warwick of Calvary Chapel Ahwatukee, Az. Each Pastor can be heard daily on KEWR – Enduring Word Radio. We will also have two experienced and highly sought after guides, Ronny Simon and Eli Biton, to share historical and archeological insights with us as we go. DAY 1 Our tour begins as we travel to Chicago and board our Austrian Air Airlines flight to Vienna, Austria. After a short layover we board our flight to Tel Aviv. DAY 2 We arrive in Israel in the afternoon. After passing through customs, we will meet our guide and board the bus drive north to the Sea of Galilee where our beautiful hotel, The Caesar Premier, awaits. Dinner will be served. Day 3 After viewing the sunrise over the Sea of Galilee, we will be served breakfast. Our tour day starts with devotions, worship and prayer. We then board our bus and have a short drive to the Mt. of Beatitudes, site of the Sermon on the Mount. We then visit Tabgha where the miracle of the multiplication of the loaves & fish took place. Then its off to the ruins of Capernaum, the town where Jesus made his home after leaving Nazareth. Lunch will be provided at Ein Gev fish restaurant. After lunch, we will take a boat ride on the Sea of Galilee to Tiberias. We end the day at Yardenit, the Baptismal Center site on the Jordan River where you will have an opportunity to be baptized. Day 5 After viewing the sunrise over the Sea of Galilee, we have breakfast followed by our morning devotions. Again we board the bus for another wonderful day of touring, first, we will proceed to Caesarea and the beautiful Roman Theatre. After a very educational visit at Caesarea, we them drive to Mt. Carmel the site where Elijah challenged worshipers of Ba-al. At this site we will have our first breathtaking view of the Valley Of Armageddon. Leaving Mt. Carmel we take a short ride to Megiddo, one of Solomon’s Chariot Cities, and a wonderful archaeological dig. Next we cross the Valley Of Armageddon to the town of Nazareth, where Jesus grew up. We will walk through the streets to a synagogue for a short visit and study. Now we will head back to Tiberias. Day 6 After viewing our last sunrise over the Sea of Galilee, we will have breakfast followed by our morning devotions. Next we board our bus for a morning drive to Bet She’an where recent excavations have unveiled the impressive ruins of the country’s largest city in the Roman & Byzantine periods, which was destroyed by an earth quake in 749 AD.. We will then travel down the Jordan River Valley past Jericho to Qumran the place where the Dead Sea Scrolls were discovered in 1948. After an educational visit and a great place to shop for the dead sea products, our next destination is the The David Hotel on the Dead Sea. Day 7 After viewing the sunrise over the Dead Sea, our tour day starts with devotions, worship and prayer. Back on the bus for a drive to visit Masada. We’ll explore the ancient excavations of Herod’s palaces, the bathhouse, the storerooms, the ramp, and the oldest synagogue in the world. We then Drive along the Jordan Valley visiting Ein Gedi, an oasis on the Dead Sea shore & the site where David hid from King Saul, 1 Samuel 24: 1-23. We will return to the Hotel and Spa for an enjoyable afternoon, enabling us to take advantage of the amenities provided by this beautiful resort, dinner will be served..
Day 8 After viewing another sunrise over the Dead Sea, our tour day starts with devotions, worship and prayer. We now say goodbye to this beautiful hotel and head South into the Negev Desert to visit an ancient Nabataean City. After spending time contemplating Scripture and investigating the area we will board our bus and make our way to the home of Ben Gurion, the first Prime Minister of Israel. After this we will begin our drive up to Jerusalem, passing the familiar sites of Masada, Ein Gedi and Qumran. Upon arriving in Jerusalem, we will check into The Grand Court Hotel for dinner and rest up for our final days of touring in Jerusalem. Day 9 In the morning we ascend the Mount of Olives for a breathtaking panoramic view of the Old City of Jerusalem. We will walk along the Palm Sunday Road and descend to the Garden of Gethsemane. Next we will visit the Southern Steps, The Upper Room and King David’s Tomb. In the afternoon we’ll visit the City of David, Hezekiah’s Tunnel and the Pool of Siloam. Day 10 The day starts with a drive to Mt. Moriah we will walk up to the Temple site & see the area of the Dome of the Rock & El Aqsa Mosque. We’ll continue with a visit to the Rabbi’s Tunnel and Antonia Fortress. We’ll then walk to the Pool of Bethesda and Saint Anne’s Church, an amazing example of Crusader architecture. Then it’s on to The Jewish Quarter and a visit to The Temple Institute. Day 11 This morning we drive to the west side of the city and visit the Israel Museum to see The Shrine of the Book where The Dead Sea Scrolls are kept and The Holy Land walk-around model of The City of Jerusalem as it was in the 2nd Temple period (the time of Jesus). We then visit Yad Vashem, The Holocaust Museum. Next we will visit Golgotha, “The Place of the Skull”. The day is concluded with Communion in the Garden as we celebrate our salvation, and contemplate this wonderful place. Day 12 We rise early and travel to the airport and board our planes for home. Great and wonderful memories will begin to be sorted out as we y the night skies. Special Note: This tour’s sites are just outlined on this page. We always manage to visit new and additional sites as the Lord opens doors. All in all, we will endeavor to fill our time allotted in Israel as He provides. That includes Airfare from Chicago, 4 & 5 Start hotel accommodations, breakfast & dinner daily, one lunch, a well appointed bus & professional driver and experienced and highly sought after professional tour guides as well as all tips. This includes everything above without the airfare, you would meet us in Tel Aviv. You can pay utilizing our credit card system but there will be an additional charge of $200.00 to cover the fees. Please email us for details. To hold a spot on this tour a deposit of $500 is required along with a completed 2020 Tour Questionnaire, which you can download below. Half of the remaining funds is due by September 1st, 2019 and the remaining balance is due January 03, 2020. Departing ORD @ 4:20 p.m. – Arriving VIE @ 8:20 a.m. Departing VIE @ 10:25 a.m. – Arriving TLV @ 2:55 p.m. Departing TLV @ 5:20 a.m. – Arriving FRA @ 9:00 a.m. Departing FRA @ 10:40 a.m. – Arriving ORD @ 1:05 p.m.